How to Export Email Addresses From .Eml Files To CSV/Excel? .Eml files are text files that contain individual email messages. They have been formatted in a special manner that is described in a standards document called RFC-822. 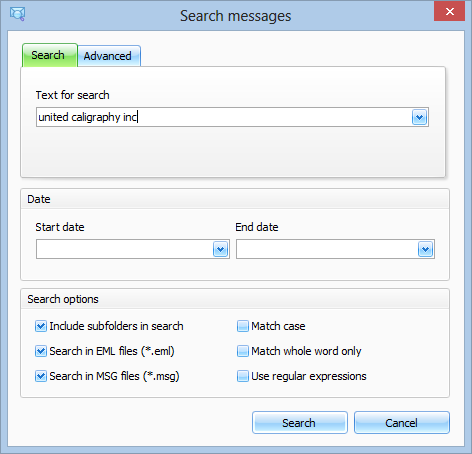 Software that understands this text encoding can display the contents of the email message, including file attachments (yes, even binary files are encoded as text in an .eml file). Virtually any standard email client can open .eml files, including Outlook, Thunderbird, Windows Live Mail, etc. 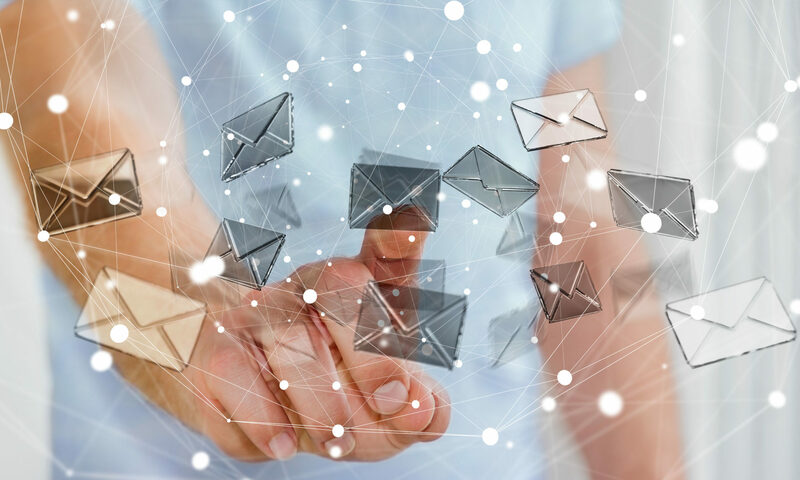 While email clients can open individual .eml files, they fall short when it comes to searching and managing a directory filled with hundreds or thousands of these files. 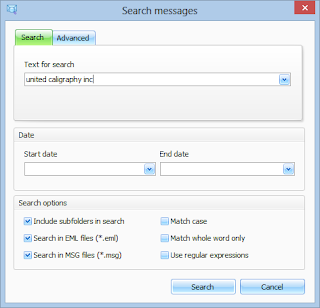 EML Viewer Pro is a specialized viewer for both .eml and Outlook .msg files. It lets you analyze the contents of thousands of .eml files and even convert them to different formats. A customer wrote us recently and said that when she decided to leave her ISP’s email service for Gmail, the only way she could take her emails with her was to download them as a large batch of .eml files. She then wanted to create a list of her email contacts. To accomplish this, she used EML Viewer Pro to export the email messages to a comma separated values (.CSV) file which she could then import into Microsoft Excel. Here are the steps you can take to save email addresses from .eml files into an Excel spreadsheet. First, download a trial of EML Viewer Pro (also known as PstViewer Pro). You can use the free trial for 15 days. Then, select the folder where your .eml email files are stored. This can be a local, network or cloud folder, as long as it appears in your Windows folder structure. When the folder is selected, EML Viewer Pro will read in the email messages and display them in a list. You can use the sort and search functions to find emails that are important to you. The final step is to tell EML Viewer Pro the format that we want to export the selected .eml files to. In this case, we want to collect the email addresses from our .eml files, so we’ll tell EML Viewer Pro to convert the selected emails into a .CSV file. To do this, look to the toolbar, and select the export profile called “CSV,” then click the yellow and green Export button to start the operation. EML Viewer Pro will begin converting your .eml emails into an organized .CSV file. Various fields will be copied from the .eml file into corresponding columns in the .CSV file. In this image, we have opened the CSV file in Microsoft Office Excel. The email content is now fully available to be analyzed and manipulated in Excel. If you are converting thousand of emails, it may take it several minutes to complete the operation. At the end, you’ll have a .csv file that has the main email data fields separated into into columns. Use Excel’s de-duplication function to remove any duplicate email addresses. That’s all there is to it! Download your EML Viewer Pro free trial from here.